The Nicholas Studios & Apartments is set on a hillside just outside Skiathos town only 450 m from the sandy beach of Megali Ammos on the island paradise of Skiathos. Close to a small supermarket providing ample supplies and the bus stop with regular services to local beaches and Skiathos town, this friendly 2 Star hotel makes an affordable base for couples and friends to explore nearby beaches and villages and experience real Greek hospitality. 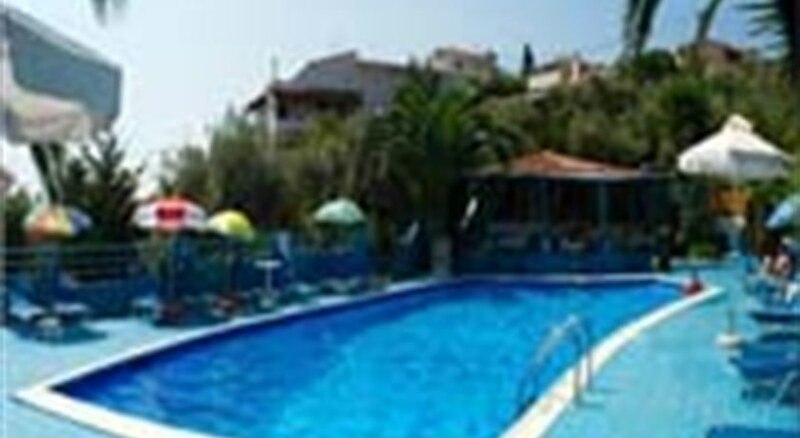 Skiathos Airport is 2 km from the Nicholas Studios & Apartments. Local Tips: Enjoy the wide array of superb beaches, with Scuba diving, riding and tennis available nearby and Skiathos town close for shops, cafés and nightclubs. Food, drink and entertainment: Self Catering accommodation. 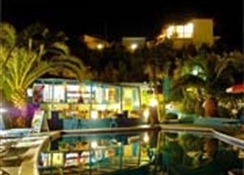 The Nicholas Studios and Apartments offer a tasty barbecue cooked weekly (at extra charge) as well as the wide variety of refreshments and snacks provided from the pool bar. 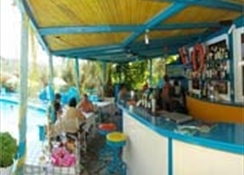 Sports, games and activities: Palm-fringed swimming pool with sun beds on the sunny terrace. Additional: Reception, due to the hilly terrain, the studios may not be suitable for the less mobile. The Nicholas Studios & Apartments features studios for 2 people sharing and self catering facilities. 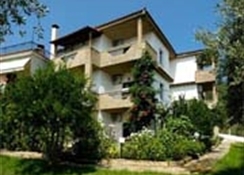 All units have a private en-suite bathroom, private toilet, shower, and kitchenette. Air conditioning is available with charge. Free baby cot available on request.